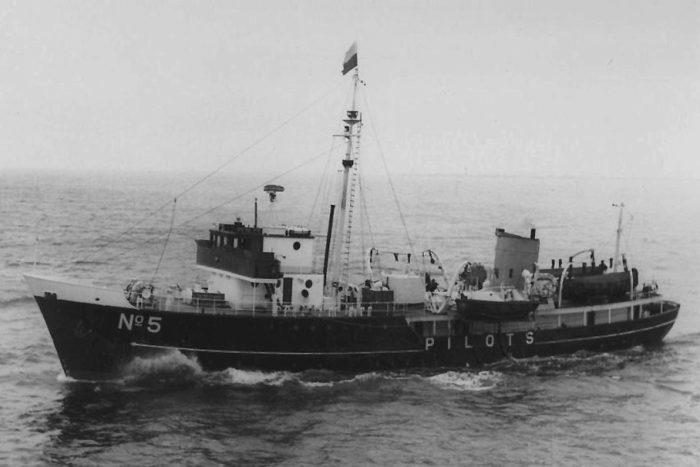 MV Seatrans Surveyor, ex Llanberis, Penlee – Steel screw motor vessel, built in 1948 by A & J Inglis Ltd, Glasgow (Yard No.13565 P), for Corporation of Trinity House as a Pilot Tender. MV Llangower – ex (4) Pelorus – Steel screw motor vessel, built in 1948 by A & J Inglis Ltd, Glasgow (Yard No.1355 P), for Corporation of Trinity House as a Pilot Tender. MV Patricia I, ex THV Patricia (II) – Steel twin screw motor vessel, built in 1938 by Smiths Dock Co Ltd, South Dock, Middlesbrough (Yard No. 1033), for Corporation of Trinity House as a Buoy/Light Tender. THV Kihna – Steel twin screw motor vessel built built in 1929 by Camper & Nicholson, Southampton (Yard No. 375 ), for J Fuller Feder as a Private Yacht. MV Investigador – ex (20) Preceder – Steel single screw motor vessel, built in 1961 by Brooke Marine, Lowestoft (Yard No. 284), for Corporation of Trinity House as a Pilot Tender. MV White Rose – ex City of Piraeus, (14) Pathfinder – Steel twin screw motor vessel, built in 1955 by Philip & Sons Ltd, Dartmouth (Yard No. 1268), for Corporation of Trinity House as a Pilot Tender. MV Decca Pilot – ex THV (19) Patrol – Steel single screw motor vessel, built in 1961 by Brooke Marine, Lowestoft (Yard No. 284), for Trinity House Corp as a Pilot Tender.